Political, economic, social, and cultural modernization dramatically transformed twentieth-century Austria. Innovative new methods of production and management, such as the assembly line, changed Austrian business after World War I, much as the Marshall Plan shaped the economy after World War II. At the same time, jazz, Hollywood movies, television programming, and mass commodities were as popular in Austria as elsewhere in Western Europe. Even political campaigns followed American trends. All this occurred despite the fact that in West Germany, American nostrums and models had been rejected, modified, or "translated" into milder versions. Ultimately, Austria was "Western Europeanized" when it joined the European Union in 1995. How Western are the Austrians? 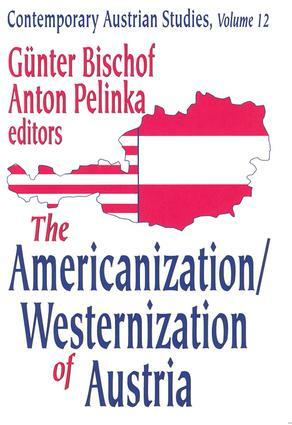 This volume analyzes trends toward Americanization and Westernization in Austria throughout the twentieth century. Reinhold Wagnleitner's lead essay studies the foreign politics of American pop culture.